Vera is away at the ABC Expo in Vegas. When things like this happen, I tend to want (or need) to get out of the house. Yes, I love being with the kiddies, but man can it get tough with the three all day sometimes. They get bored, want to drone in front of the iPad all day. I could think of better ways to spend my time. You know, not getting totally annoyed and irritated. So…I let them play a little bit of the old Club Penguin online with their friends, then headed out East, as in the East End of Long Island..or “The Hamptons.” I absolutely love it out there and September and October is the best time to go. I love the whole vibe…beachy, farms, local, cool, chic, all in one place. It’s pretty special. So we headed out to Water Mill, which is right near Southampton and right before the 4 lane road turns to two lanes and becomes a nightmare (summer is bad, so is the fall). It’s the perfect spot, right off the beaten path. The place, Seven Ponds Orchard. The place is great, run by a long-time local family. They have a great wooden playground that the kids love, with wooden play structures, slides, swings, tire swings that look like horses, and these awesome water pump duck races! 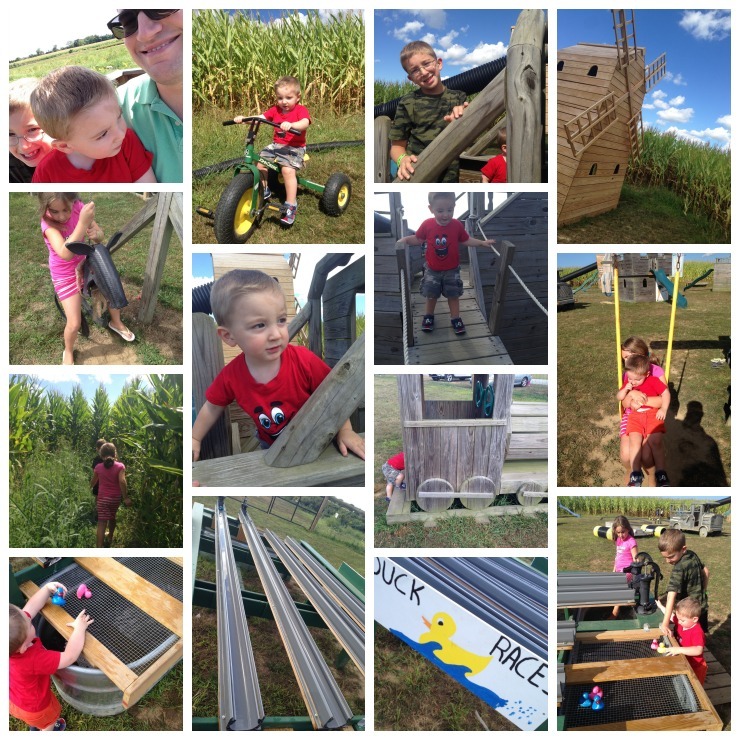 Top that off with a hay ride and corn maze, and we had hours of fun! If that wasn’t enough…they had a types of U-Pick options. 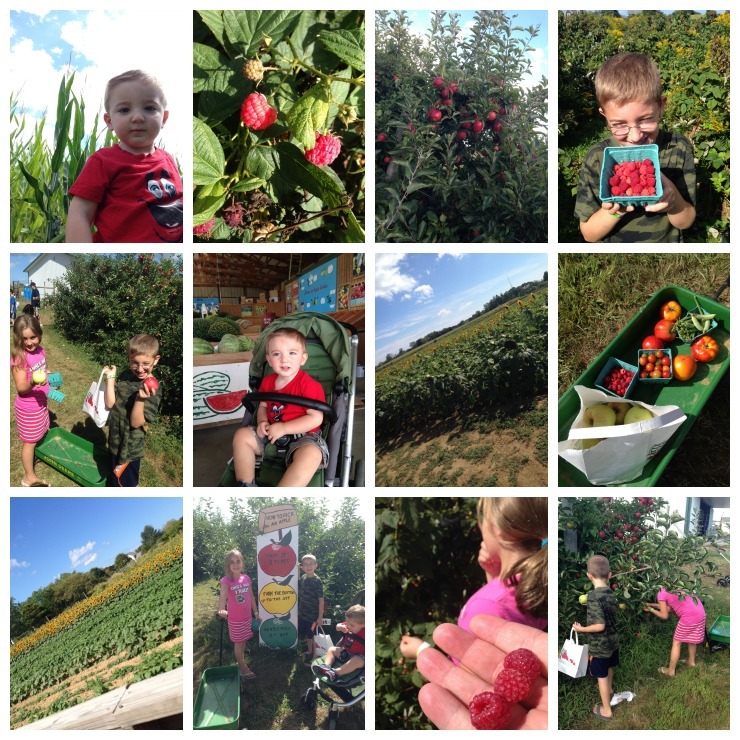 They had 32 types of apples, raspberries, blueberries, tomatoes, cherry tomatoes, egg plant. green beans, sugar snap peas, and sunflowers. It was amazing and the kids loved it!!! We grabbed most of what they offered, plus some homemade apple cider and apple cider donuts. It was so good and it was such a good time seeing how all the foods we eat grow. They loved it and didn’t want to leave. 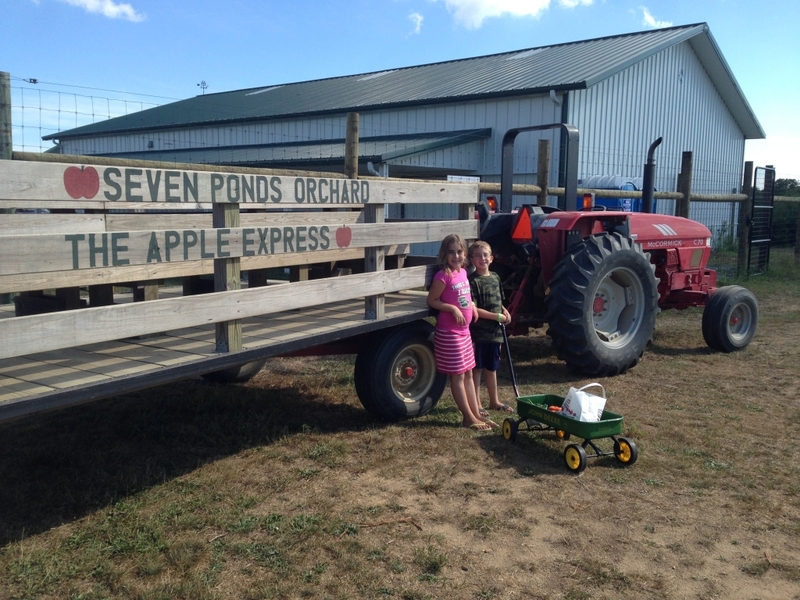 They even pulled that green wagon around the whole time without whining (yes, I know, but it’s true). 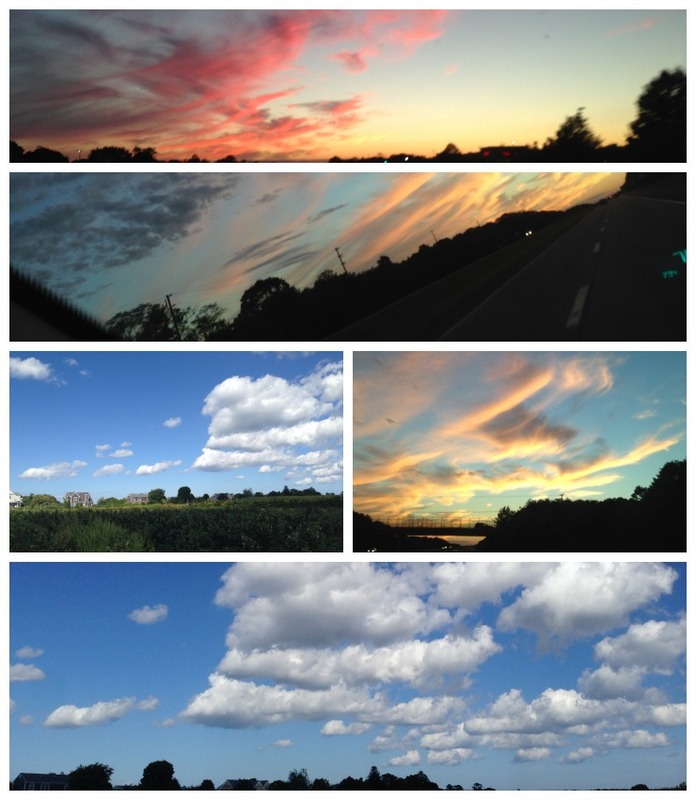 It was a great experience…would love to go back soon.